Businesses that blog get up to 55% more traffic than those who don’t. That means if you get 1000 visitors a day, you could get 550 more visitors, for a total of 1550 visitors- awesome, right? But, starting a blog is hard, isn’t it? What if you don’t know how? Well, this is the internet, and if there is a will, there’s a way. It’s time to get those extra 550 visitors each day (eventually), by starting a blog. Your blog won’t be just a place that gets more traffic to your website, it’s a place for you to help people in your industry with all of the knowledge you’ve compiled over the years. It’s a place to show off your expertise. Besides getting more people to visit your website, the main reason I encourage people to blog is to provide information. Think about it, why do you visit blogs? To learn about someone elses’s experiences, get a piece of their knowledge, understand a problem you have, or read something entertaining. The same things that have sent you to other blogs, are exactly what other people are looking for, and will come to your blog for. Now, tell me, when you visit a blog and they make a suggestion or recommendation, do you check it out? Once you’ve learned something from them, don’t you trust them or, at least, like them more? Your visitors will do the same. And trust/like can lead to more sales in business. There are a lot of free options for blogging, but none of them are as beneficial to use as WordPress. Let me make myself very clear here. DO NOT use any of them but WordPress on your own host. Trust me, anything else will just end up causing trouble down the road, when you have to switch over, which you will. Every serious blogger uses WordPress, and there is NOTHING on the market that can come close to the flexibility. There are 3 options. Either get your own hosting that normally offers to install WordPress, get managed WordPress hosting or have WordPress installed on the same account as your current website. The cheaper option is to install it yourself on the hosting you choose, that can be as little as $3.95 a month. The more secure option is managed WordPress hosting, that can be found with reputable companies for around $30 per month. I recommend managed hosting because it’s easier for you whenever you have any issues, and they handle everything if you aren’t technically inclined. Now that you are all set up, what in the world should you blog about? That’s easy. To start with you can by making a list of all of the questions your customers have. Turn each one into a blog post, and write it out until you’ve answered the question. It really is this simple. If you have trouble, you can hire someone to write blog posts for you. How Do I Get People to Read It? So far, I haven’t mentioned social media, but this is where it enters the game. There is a quote by Likeable media that says Content is the Fuel and social media is the fire. You use the content (your blog posts) to bring visitors back to your website, from social media sites. As you work on growing the number of fans and followers you have, you will get more traffic to your blog when you share links to each post. Starting a blog sounds a lot more difficult than it is. You really can jump in and get started. If you need help, I can get it started for you with my blogging service, and set up a strategy for what to write about. Contact me. 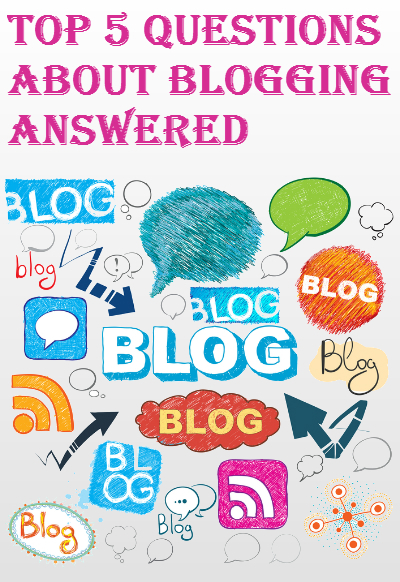 “Why should I blog?” depends really on the person and what their goals are in life or in business. Some people blog just for fun, some to make a living, some as a side hustle, some to vent frustration, some to drive traffic to their business, some to build credibility and some for SEO. So many great reasons! This is an excellent post. You have broken down the process into very distinct simple questions and then you’ve provided very insightful answers. Things like why to blog and how to blog that you shared, are awesome!